Moreover, Woodhull’s punishment, a nascent form of waterboarding, is both undocumented and inappropriate to the period. On the show, it appears that Woodhull’s captors tortured him to extract information not inflict punishment. Torture for the sake of gaining information certainly occurred during the war, but was far less common than torture as a form of punishment. As a smuggler who was caught dead to rights, Woodhull would have been questioned, detained in jail, tried by court martial, flogged, and imprisoned, but not waterboarded. If they suspected him of spying, Woodhull’s captors would have put him on trial and executed him according to an August 1776 resolution of Congress . Woodhull’s treatment looks more like 2006 than 1776. (2) The treatment of British Captain John Graves Simcoe in the series is even more outrageous. As a commissioned British officer who was captured by elements of the Continental army, Simcoe should have been granted a lenient parole that would have allowed him to take up residence in a nearby town. At this early stage of the war, American officers would not only have allowed Simcoe to keep and wear his sword, they would have hosted him at lavish dinners and even offered generous loans if he were in need of cash. Given that he was wounded during the battle, the ranking American officer would have sought immediate medical treatment for Simcoe. 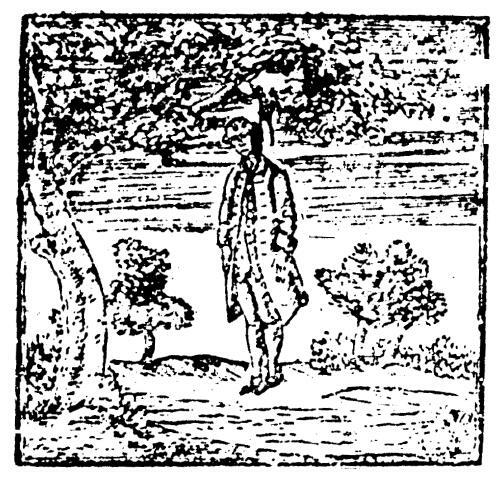 Once arrived at his place of imprisonment, usually a tavern or inn, Simcoe would have been responsible for housing, feeding, and clothing himself, but he would have had the liberty to roam about freely, usually within a twenty mile radius, while he awaited exchange for an American officer of equal rank in British hands. Instead (as seen in the video above), Simcoe is brutally interrogated by Caleb Brewster and Captain Benjamin Tallmadge. Tallmadge even agrees to personally execute Simcoe when it becomes clear the British officer will not divulge the desired information. Only the arrival of General Scott stays his hand. The whole scene is utter fantasy. As Scott informs Simcoe, he should have been treated with courtesy. Yet, even after Scott releases Simcoe from Tallmadge’s grasp, he is still handcuffed, deprived of his sword, and guarded by ruffians. Ironically, the real John Graves Simcoe was actually captured by American forces in 1779. 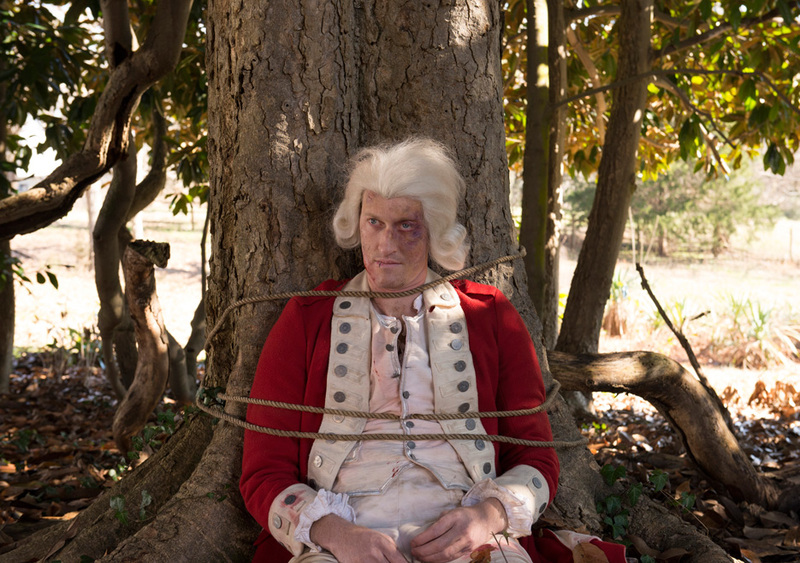 As will be discussed in a future blog post, Simcoe’s real treatment as a prisoner was nothing like how it has been portrayed in the show thus far. (3) The final group of prisoners we see, the Pennsylvania militiamen who mutiny against Tallmadge and Scott, also suffer bizarre and inaccurate treatment at the hands of their captors. At the end of Episode 3, General Scott – who had earlier assured Simcoe that he would be treated according to the prevailing rules of war – orders the immediate execution of two of the men. Violating the Continental army’s articles of war, Scott executes the prisoners without any semblance of trial. In perhaps the strangest depiction in the series so far, Scott shoots one of the men himself before ordering Tallmadge to shoot the other man or face court martial for disobeying orders. This scene is not only historically inaccurate, it is incompatible with Scott’s own character in the show, since he is portrayed as a professional officer who protects enemy prisoners in the first two episodes of the series. As a general in the Continental army, Scott would never have personally executed a prisoner, no matter how heinous the crime. Tallmadge’s shock at being asked to partake in the execution is the only part of the scene that feels accurate to the period portrayed. This is not to say that the rogue militiamen would have been spared, however. Desertion and attempted murder would likely have earned the men death by hanging, but only after they were tried for their crimes by court martial. The prisoners would have been too valuable to simply execute on the spot. By publically trying the men, parading them through the army, and hanging them in full view of soldiers and civilians alike, the Continental army would have demonstrated to all concerned that desertion and treason had severe consequences. The exemplary execution of the men in this fashion would have had a symbolic effect that was far more important to the American cause than their actual punishment. Instead, in the show, Scott simply shoots the men, squandering both this personal honor and the valuable opportunity to make an example of them. So, in the final analysis, how accurate are TURN’s portrayals of prisoner treatment? Despite the other achievements of the show, TURN is guilty of an anachronistic presentism that leaves this viewer with the impression that the producers and writers wanted to create an eighteenth-century version of Homeland or 24 rather than a true to the period story. Prisoners were abused and executed during the Revolutionary War – just not in the ways TURN depicts. In the end, TURN tells us more about our own society’s concern over prisoner treatment than it does Revolutionary America’s. But perhaps that’s the point. T. Cole Jones is a Ph.D. Candidate in Early American History at The Johns Hopkins University. He is currently a Dissertation Fellow at the Harry Frank Guggenheim Foundation. Jones will defend his dissertation, “Deprived of Their Liberty: Enemy Prisoners and the Culture of War in Revolutionary America,” on June 18th, 2014. Thank you. Those scenes seemed odd to me, as do so many in the show. It’s useful to hear from an expert. A big problem is the tangled chronology; the Culper ring wasn’t founded until 1778, but we see it beginning in 1776. John Andre was not yet head of British intelligence & would not be until 1779–wasn’t he winding up a period of “imprisonment” as you describe? Charming everybody in Lancaster, PA…. The charmingly bonkers “Sleepy Hollow” on Fox (which is fantasy, not “real history” as TURN claims to be) inspired me to begin reading up on the American Revolution. School was many years ago & my “periods” have been Texas history, the allied greater stories of Latin America, our own Civil War & the Great War–I’m hiding from that Centennial since I’m already tired of the trenches. So “TURN” has been getting on my last nerve–from the little details to the large. And the show isn’t even very good, although some of the “redcoats” (in their identical uniforms) have performed their silly parts with glee. In the last episode, we saw our cabbage farmer discover The Enormous Secret that Hessians were heading to Trenton. (If it had been secret, would those fluent-in-English soldiers have been so chatty with a local?) No doubt the Culpers will be shown to inspire Washngton to cross the Delaware! The producers chose to set the show in 1776 in order to make the show more exciting(due to the events that happened that year). It’s important to remember that Turn is not a historical documentary. It’s not striving for perfect historical accuracy. The show needs to change things in order to make it more interesting. They need to keep the audience engaged. Unfortunately, many viewers are only interested in action(which is probably why we have these less accurate torture scenes), and aren’t really interested in character development. I love American history, and this criticism was really well written, but I feel Turn shouldn’t be criticized so heavily for not being entirely accurate. I think (hopefully!) very few people are under the impression that TURN is a historical documentary, or that it would be a perfect representation of 18th century life — the “About” page of this blog acknowledges as much. You’re right — there’s no doubt that in the world of historical drama (movies and TV shows), the first priority is telling a good story and keeping viewers interested. The “real life” history comes second — and in some cases, a very distant second. That said, this blog is meant to be a resource for TURN viewers who *are* primarily interested in the history behind the show, so questions of accuracy and inaccuracy are central to our “main mission.” Thus far, we’ve tried to make a fair effort to address ALL sides of the history depicted in TURN: the good, the bad, and the complicated. When TURN does a *good* job of appropriating history, we want to discuss that, too! Eh, sorry if I came on a little harsh. I didn’t mean to sound harsh, just offering a little constructive criticism. I didn’t know this blog was focused on the real history behind Turn, as I saw this article pop up on the Turn subreddit. I thought this was just a critisism of the historical accuracy, and that it was just a general opinion on the show, not a whole blog dedicated to pointing out the real history. Again, sorry if I appeared a little rude. I think it’s great though that this blog is teaching the viewers about real American history! I love the American revolution! Thanks for the reply! To be very honest, as an avid viewer of television and movies, I’ve always disliked the argument that fiction should come first before history because fiction makes things exciting. That insinuates that human history isn’t already interesting in of itself. I’ve always seen shows that are historically inaccurate just a bit lazy on the part of the writer. Sure liberties will have to be taken as “God isn’t the best writer”. But the purpose of historical fiction is to give insights into a distant past that textbook sometimes can’t always convey. If you bend history that much the themes and insights you bring across in your fiction will be irrelevant or disingenuous. This is of course ignoring fiction that is purposefully alternate history such as HBO’s Boardwalk Empire, AMC’s Hell on Wheels, or fantasy works such as most King Arthur adaptations. But Turn is never quite Boardwalk Empire (which is ironically more accurate in spirit to history than Turn is). I guess my point is, there’s too many modern sentiments in Turn that makes the show seem fake and disingenuous to me. As an audience of both tv and movies, I can say for myself. The quickest way for a show to lose MY attention is if it’s so historically inaccurate it makes the story feel too modern. It doesn’t matter if I notice it while watching it or I find out later. They are both equally bad for me. So I would use Turns historical inaccuracies as a point against it in this specific case. You can bend history to make things more engaging. But there is a point where you will break that suspension of disbelief and it becomes obvious that the setting is just a gimmick and has nothing to do with trying to tell a story about that time period. My question, though, comes from the following. Any comments?